It is unbelievably frustrating to eat clean and work out daily only to learn you’re not losing any weight. It can really make you question whether or not the effort you’re putting in just isn’t worth it, which can really make you want to quit. I get it. And then there’s the fact you can lose fat and still gain weight. Yep, it’s true. But how can this be? That’s what this article will hopefully explain and much more. You have to remember the human body is made up of around 37 trillion cells. That is a pretty complex system! 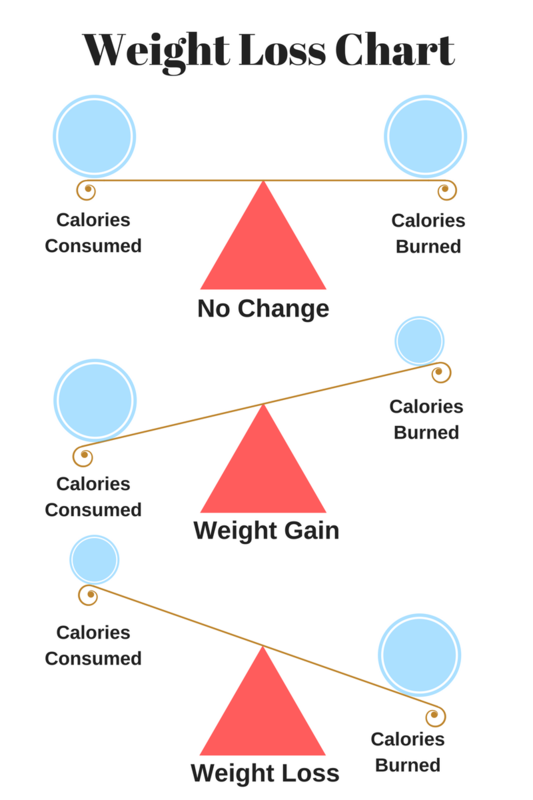 Luckily, losing weight is not quite so complex. In fact, weight loss is pretty simple when you take the correct approach. 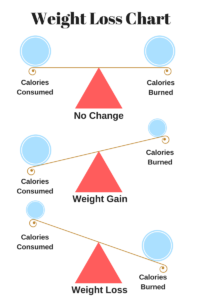 It’s helpful to think of weight loss as cause and effect. You just have to get the cause (dieting and exercise) right and the effect (weight loss) will come. A calorie is a unit of energy. We consume calories by what we eat or drink. Our bodies use calories for everyday functioning and physical movement. A medium banana contains about 105 calories. An 180lb person who goes for a moderately paced one-mile walk will burn about 100 calories. This would be a calorie surplus of 5. Now if that same person eats that banana again, but this time goes for a 2-mile walk, they will burn about 200 calories. This equals a 95 calorie deficit. For weight loss, creating roughly a 3500 calorie deficit results in the loss of 1 lb of body fat. These numbers are just general. Your age, metabolism and lean muscle mass also will affect weight loss, but in the end, it’s all about the numbers. This post covers the topic of intentional weight loss through proper diet and exercise. Talk to a professional if you suspect a medical or hormonal condition is causing you not to lose weight. 1. Muscle inflammation. When working out, you’re basically breaking down muscle tissue. Your muscles recover to become stronger. During this recovery time, a small amount of inflammation occurs (you know that sore feeling you get especially when you’re starting out.) One way the body helps muscle recovery is by pulling water into the muscle. This can cause a temporary gain in water weight. Your muscles also use glycogen for energy, and glycogen needs water for this process to work. As your muscles grow more accustomed to working out, they require less glycogen. This means less water weight retention. This weight might be up to 3lbs and will typically go away in about one month’s time. 2. You’ve gained muscle. Lifting weights and exercise causes stress to your muscles and as they recover, they will become bigger and stronger over time. Building lean muscle takes a good amount of time, so you won’t be able to blame a sudden increase in body weight or not losing weight from gaining muscle in one week – sorry! At most, a woman who is training for muscle growth will only gain 0.25-0.5lbs of lean muscle in one month. For men, 1-2 lbs is average. 3. Mental stress. Stress is defined as a state of mental or emotional strain or tension resulting from adverse or very demanding circumstances. The body can deal with excessive levels of stress by producing extra cortisol. Cortisol is a human hormone with many functions in the body. One function is to help the body deal with a stressful situations. It does this by causing an increase in glucose to deal with the situation (fight or flight). This can cause the body to retain more water weight if glucose levels remain elevated. 4. Consuming too many calories. If you take in more calories than your body burns, the excess calories (energy) will be turned into glycogen or fat to be used at a later time. It is survival instinct and our bodies way of storing excess calories now to be used later for when food is not as abundant. 5. Not eating enough calories. On the other hand, if you create too much of a calorie deficit, you’re also going to cause problems trying to lose weight. Think of it like this: your body’s number one goal in life is to survive. A sudden large decrease in calories is going to make your body think it needs to go into survival mode. It will do whatever possible to weather this storm, including holding onto all the energy (fat) reserves it can while hindering other body processes. This problem is typically seen when progress suddenly stalls. And this happens to be one of the most common causes I see in my challenge groups when participants aren’t losing weight. If one of the points above jumped out at you, then you have likely found the reason why you haven’t been losing weight and will just need to make the appropriate adjustment. If not, I came up with a two-step system that can help you narrow down where the problem might be. Track your calories. When first starting out with a new workout routine and healthy eating lifestyle, it can be a good idea to track your calories if you’re not losing the weight you think you should. There are many online resources like My Fitness Pal to make this process relatively simple. Reassess what you’re doing. Be honest with yourself here. Are you not skipping meals, getting enough rest, working out the best you can, eating the right foods…or could you be doing better? 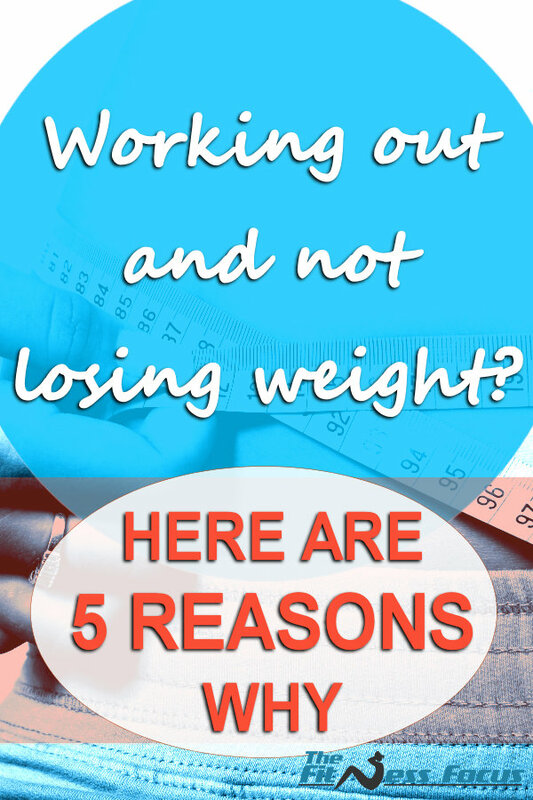 I hear this all the time – this workout and diet just aren’t working for me. I hate to say this but unless you have an underlying medical condition causing you not to lose weight, it means you’re doing something wrong, which is a good thing. This means the problem just needs to be identified and corrected. What If You’re Doing Everything Right and Still Not Seeing Progress? If it’s only been a few days or even a week, then just keep doing what you’re doing. It takes time for weight loss to occur, because our body weight can fluctuate quite a bit on a daily basis. And please remember that weight loss is not about starvation and countless hours in the gym. It should be about taking care of yourself and your body to look and feel better. Have questions or a valuable tip? Please leave a comment below.